Early on a Sunday morning in the canyons above Los Angeles, the parking lot of Newcomb’s Ranch looks like a race track. A who’s-who of high-end hardware at the common coffee and breakfast stop usually has folks fawning over that newest, hottest ride in the lot. But one recent weekend, a bashed-up silver Porsche 911 was getting all the attention. 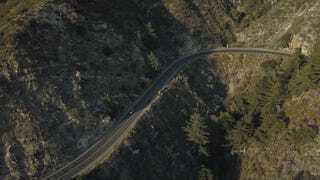 One week later, we met at the base of Angeles Crest Highway and I rode shotgun as Mata wove his way up the canyon. I’d never been in the car with him before, but there’s a certain deft touch a person gains when they are highly in-tune with their machine. Watching Mata’s steering inputs and gear shifts was like a car-guy sedative. We were flying, but everything was in harmony. We parked up on an overlook with the sun sinking, light bouncing off the dents and scuffs and blisters on the body. Having given a proper demonstration of this vehicle’s potential, Mata gave me the rundown on his build. The car has been a labor of love, evolving over time. He started on it in 1999 as just a base 911, it had a 2.7-liter engine. Mata sold the original engine and upgraded to a 3-liter from a later SC and also sourced a local manual transmission. But the 3-liter wasn’t enough. Mata continued to move up to an even bigger engine sourced from another local specialist, and immediately sent it to a local speed shop, rebuilt with a kit, bumping displacement up to the current 3.6 liters. Mata does as much of the regular maintenance and tuning he can on the car at home in his driveway. After the latest bore-out and rebuild, it took some intensive driveway break-in and valve-adjustment tinkering to nail the tune. Mata had his priorities in line from the beginning, and he bought at just the right moment. That $6,900, even calculating for inflation, is only roughly equivalent to $10,500 in 2019 dollars. That’s nothing for a classic 911. The market has absolutely exploded in the last fifteen years. So much so, that similar year 911s are now averaging around $30,000 just for a decent running car. Prices rapidly climb as you get into lower miles and special editions, as tracked by Hagerty. Mata is one of the lucky ones. The classic sports car market has evolved in such a way that a new bargain enthusiast, one who tinkers on a car in the garage, who rigs up their own oil coolers and idly dreams of engine swaps, is priced out of the Porsche market. To find a solid platform for under $10,000, quite a bit under at that, is a pipe dream from the pre-aughts. 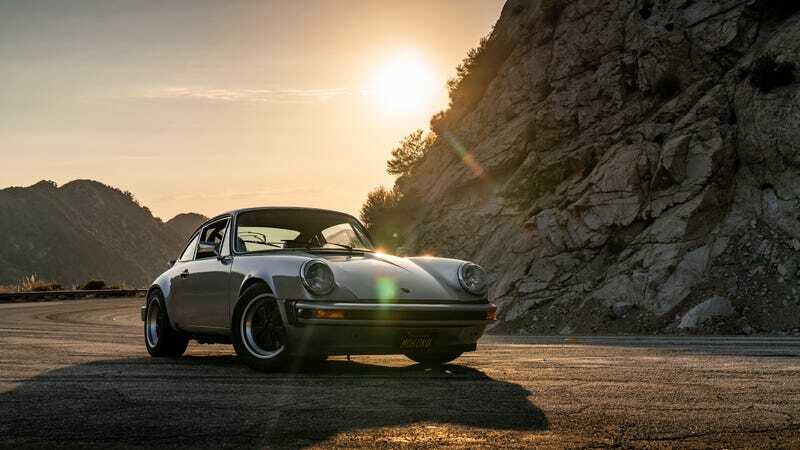 In 2019, the only classic 911 you can get for 10k is a rolling chassis with no engine and no interior. A little peace of mind on those long canyons jaunts can go a long way, pun intended. Beyond the engine and chassis upgrades, Mata added quite a bit of lightness to his car as well. The interior was completely stripped save for a half-cage, which occupies the area behind both seats. Anything not essential to enhancing the driving experience was removed. “The previous owner had a turbo tail on it. He tried to make it look like an ‘84 so he had the bigger heavier bumpers on it. I took all that off,” Mata said. No unnecessary weight remains. Mata said the car tips the scales a tad over 2,500 pounds with him in it. His stripped-out 911 is a bonafide featherweight in an age when a new “lightweight” 911T from Porsche still tops 3,100 pounds. Going so far down the weight savings rabbit hole is usually territory inhabited by track-day and time-trial junkies looking to shave milliseconds and eke those last few miles-per-hour out of each lap. But Mata hasn’t gotten there. Yet. I took a moment to ask him about his favorite experience in the car. Mata’s voice dropped and he leaned in. Turns out he removed the part of the car that keeps him cool. And added another part to ensure healthy temps for the vehicle. Mata had worked so hard to ensure healthy temps for the vehicle that he ended up removing the part of the car that kept him cool. But he still doesn’t think of this as a track car. If it were, it’d end up much more extreme. Mata paused with a wistful look on his face, the kind that says he knows he will never swap anything out, let alone polish and hang it. Jonathan “JBH” Harper is a freelance journalist and photographer based in Los Angeles. Follow JBH on Instagram, Facebook, and his website.